The Soul Nebula (Westerhout 5) is an emission nebula located in the constellation Cassiopeia and lies in the constellation Cassiopeia at a distance of 7.500 ly from Earth. 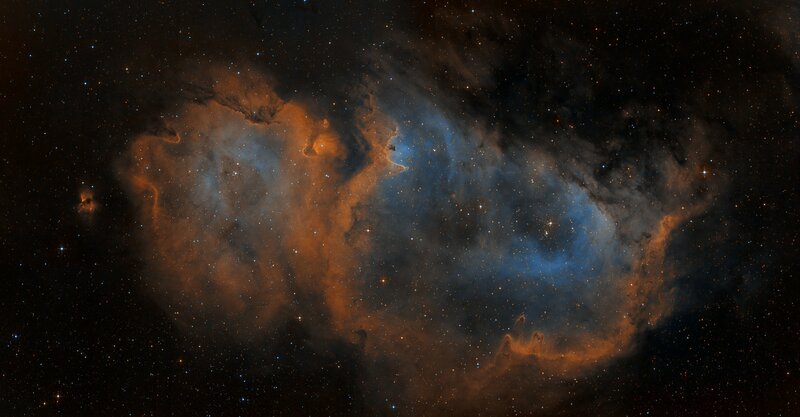 It forms a famous pair known as the Heart and Soul with the neighbouring Heart Nebula (IC 1805). 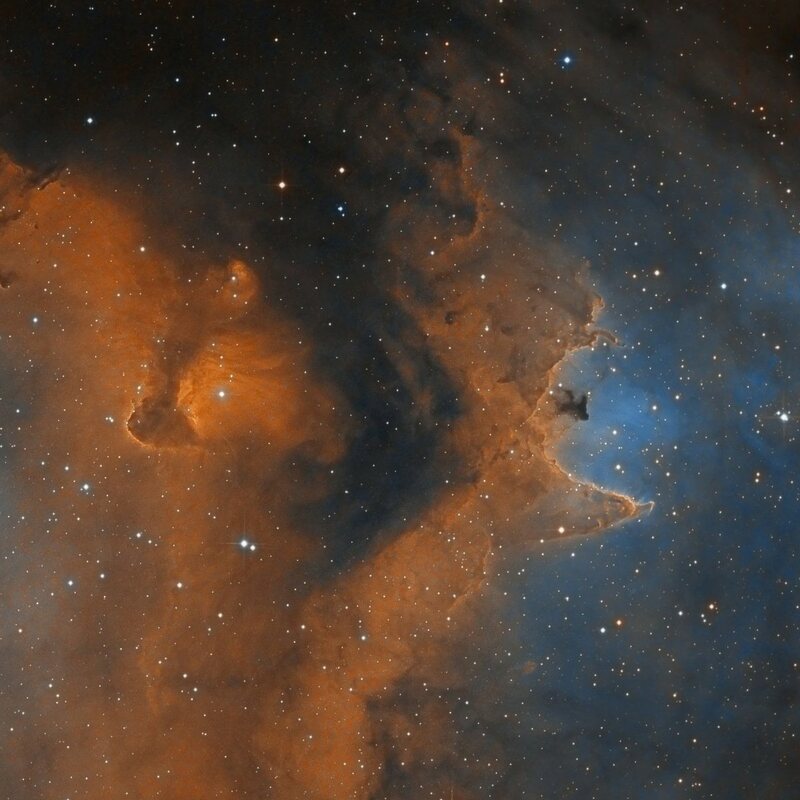 The Soul Nebula is sometimes also known as the Embryo Nebula or IC 1848, which is a designation used for the open star cluster embedded within the nebula. 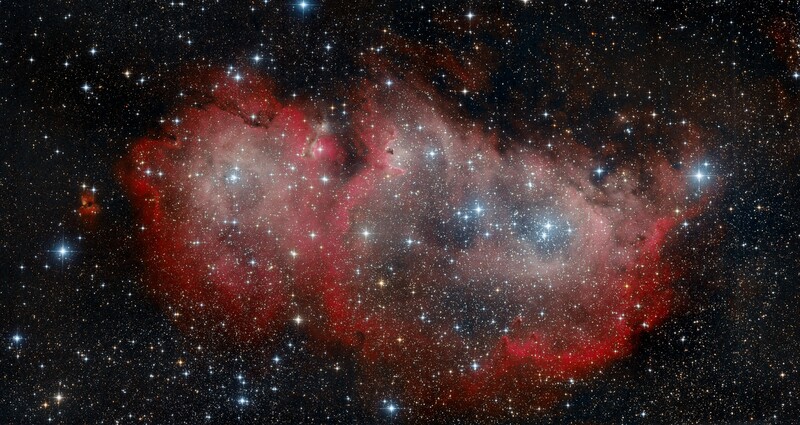 It is a vast star-forming region illuminated by the light of the young stars surrounded by star-forming clouds of dust and gas. The stars in the region are less than a few million years old and are only beginning their life. This picture is a mosaic of 2 panels. This rendition is a combination of Ha and OIII narrowband, combined with RGB data. Update October 2nd: I’ve been gathering SII signal during the moonlit nights. Together with the OIII and Ha data I’m now able to map the colors according to the Hubble palette: SII for Red, Ha for Green and OIII for Blue. im trying to do SHO_RGB of the soul , im brand new at NB and aspire to get the results you have here. So far i have 4.5 hours and will be switching to OIII then SII. I took 1 sub of OIII found it empty. SII was faint. When im done acquiring the data on the final stack , could you look over the set ? your SH2-201 is massive APOD….